Maes-y-Bryn Campsite is set on a small farm in the hills above the market town of Llanrwst at the edge of the Snowdonia National Park in North Wales. 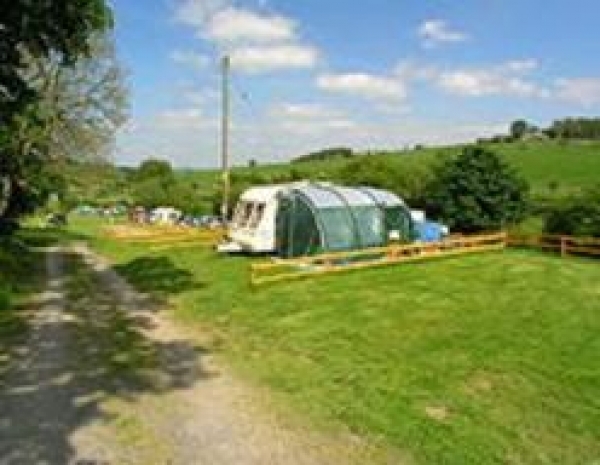 The campsite caters for tents, touring caravans, and motor caravans, and is ideal for families and couples - groups are not taken. This campsite was voted one of the top 10 campsites in North Wales. Located between the inland resort of Betws-y-Coed and the resorts of the North Wales coast, this farm has all kinds of animals and pets including sheep, chickens, ducks and geese. The campsite is an ideal location for those seeking a get-away-from-it-all holiday with your tent or caravan in the stunning scenery of North Wales.